The Nicolas family have owned Château La Conseillante since 1871. Part of the vineyard here is adjacent to Château Petrus but the wines here are more elegant and sumptuous without the Petrus power [in my limited experience]. 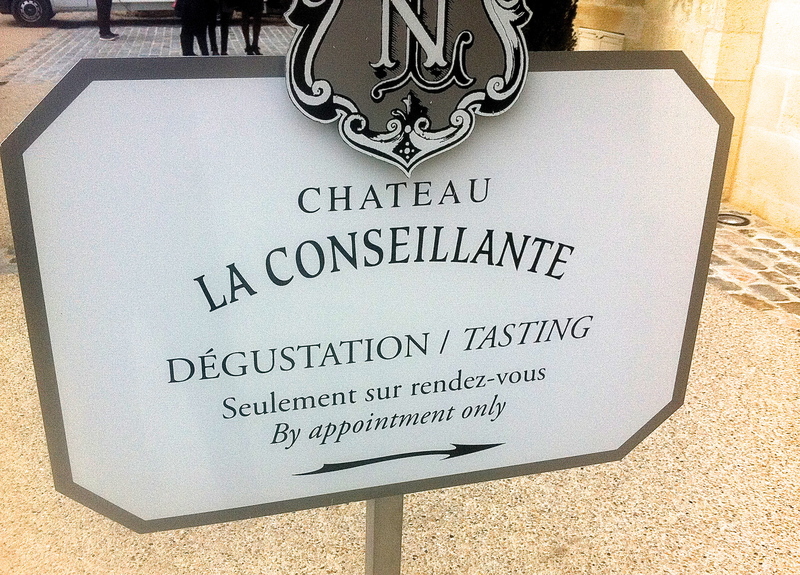 Delicious wines but increasingly super expensive as there are only around 4500 cases of Château La Conseillante made. Vineyard/Terroir: 12 hectares on clay and gravel with a hardpan subsoil planted with 80% Merlot and 20% Cabernet Franc. Winemaking/Elévage: Aged in barrel for between 18-22 months depending on the vintage. 80-100% new oak used. 2006 Deep at centre; mature notes of chocolate and truffle, feels a bit tired? Sweet entry on the palate and lots of ripeness here, fruit tending toward the ripe strawberry and raspberry notes; some tannin here too and furry quality to the tannin. 86-88?/100[2nd sample] Feels a bit fresher, super ripe notes on the nose, menthol and clear Cab Franc lift; palate more silky then first bottle and less tannic than previous sample too. Very soft and attractive but density beneath too. Tannins solid but not dry. Much better second bottle 88-90/100. MW Institute Nov ’10.